Finding a decent table tournament is harder than ever, so BitStarz Casino’s new option will make many players happy. The rules are simple and the prize pool is nice. If you like blackjack, roulette, or baccarat check out the details below. 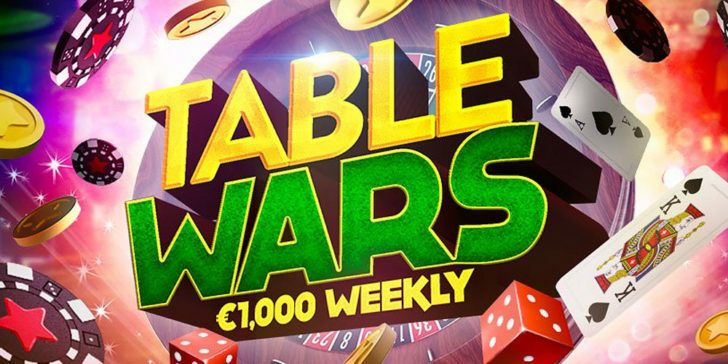 From Monday to Sunday the bets you make on table games at BitStarz Casino will earn you leaderboard points and the chance to win a share of €1,000. Every week 20 of the top players will share the money. The highest available prize is €500 while the lowest is €5. The best thing is that winnings come without wagering requirements. The only strict rule is that you have to be done with your first four deposits in order to start climbing the leaderboard. So, if you like table games and wager-free bonuses make sure to play table games at BitStarz Casino! Minimal Risk Wagering is not allowed!